This weekend, will make a trip to the hardware store to see my options. Anyway Jon-san, the fish are not bothered at all. They are more interested in food. 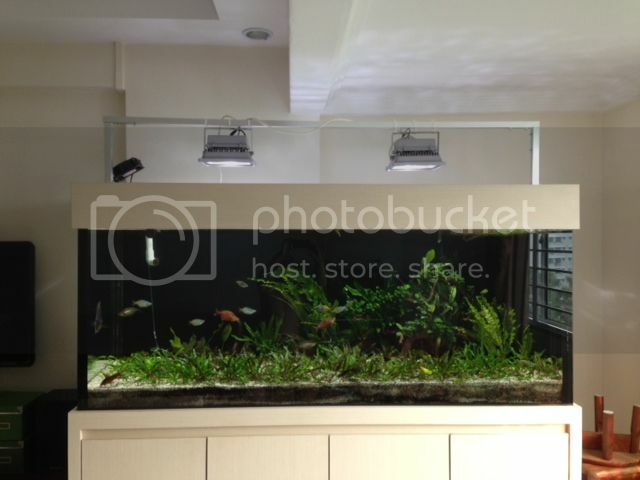 I also noticed that the lights are too white, the fish and plant colors come out dull. MK II stand using 1" Aluminium square bar. Now left the wiring and light attachment to sort out once I decide if the plants need a 3rd light. Very nice and neat. Doesn't take up much space too. Sorry I kind of hijacked your thread. Hope this info is helpful to you too. How many watts are your LED Flood light? 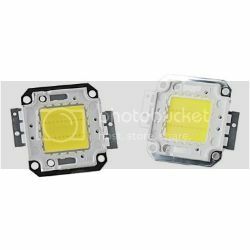 Any idea how much is a 50W LED? Will only try when i find n gather all the materials above.